Each education and/or rental program requires a Group Coordinator, an authorized representative of the group, who is responsible for organizing the group’s trip to Mount St. Helens. The Group Coordinator is the person who is in direct contact with the Mount St. Helens Institute staff to work out the details of the program. While the Group Coordinator does not have to accompany the group on the trip, they are responsible for ensuring that participants are prepared for the trip and that the group abides by the policies described in this document. Registration for an education and/or rental program requires 1) a 25% of the full education and/or rental program fee and 2) completion of a registration agreement signed and dated by the Group Coordinator on behalf of the group. The deposit will be applied to the total amount due. Dates and times for education and/or rental programs will be the date(s) and times agreed upon by the Group Coordinator and Mount St. Helens Institute staff in writing prior to registration. Mount St. Helens Institute may be able to reschedule program upon request by the Group Coordinator, but is under no obligation to do so. Mount St. Helens Institute is under no obligation to extend programs past their scheduled departure time. Mount St. Helens Institute will provide a quote to groups intending to register for an education and/or rental program, based on prior communication between Mount St. Helens Institute and the Group Coordinator. A deposit of 25% of the full education and/or rental program fee (based on the programs/services in the group’s quote) is required for education and/or rental program registration. The deposit will be applied to the total amount due. Groups are responsible for complying with the cleaning standards of their education and/or rental program. If a group fails to meet the required cleaning standards before departure, a minimum fee of $50.00 will be charged. Additional fees may be assessed, as warranted. Groups are responsible and liable for any non-natural damages that may occur to our facilities. Should a member of the group damage the facilities during the program, any fees associated for the repair of such damages (including materials and staff time) are the group’s responsibility, and will be applied to the final invoice. Groups are expected to bring the number of participants indicated at the time of registration. Mount St. Helens Institute allows for a 25% reduction in group size from the reserved amount without penalty. For decreases greater than 25%, the group will be billed 50% of the no-show registrants’ fees. The total amount due for an education and/or rental program is based on the total number of actual participants, plus any no-show registrants as described above. The final invoice will also include all additional costs/services requested by the Group Coordinator after registration. Groups will receive a final invoice after the program and are required to remit payment in full within 30 days after receiving their final invoice. The Mount St. Helens Institute is not liable for any other expenses that the group may incur in the preparation and execution of their education and/or rental program. Groups that cancel their reserved education and/or rental program greater than 60 days prior to the program date are eligible to receive a full refund. Groups that cancel their reserved education and/or rental program 60 days to 14 days prior to the program date are responsible for 75% of the full program fee. Groups that cancel their reserved education and/or rental program less than 14 days prior to the program date are responsible for the full program fee. In the event that the Mount St. Helens Institute must cancel a scheduled education and/or rental program, Mount St. Helens will notify the group and groups will receive a full refund. The Mount St. Helens Institute is not liable for any other expenses that the group may incur due to cancellation of their education and/or rental program. Groups participating in rental programs are responsible for cleanup of areas used by the group during the rental period, including 1) sweeping/vacuuming floors 2) wiping down surfaces 3) removal of the group’s possessions 4) placing trash into trashcans and 5) washing dishes and/or other MSHI supplies used by the group. 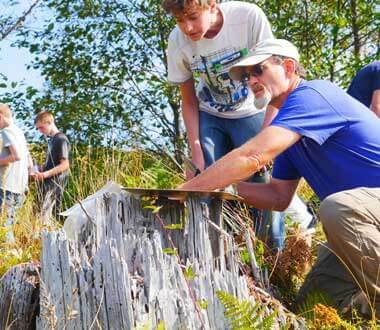 Mount St. Helens Institute will be on-site to provide supplies and guidance for meeting the program’s cleaning standards and will conduct an inspection at the end of the program. Groups participating in education programs are responsible for placing the trash and debris generated by their group into trashcans, as well as cleaning any messes created by their group that are beyond the normal “wear and tear” of their group’s use. Group members may be asked by Mount St. Helens Institute staff to assist with other chores associated with their use of the facility, such as wiping down tables in the dining area after meals. While Johnston Ridge Observatory (JRO) is closed between November and April/May, the Science & Learning Center will be open to visitors on Saturdays and Sundays from 10:00 a.m. – 4:00 p.m. If Johnston Ridge Observatory is closed for an extended time period, the SLC also may be used as a public visitor center. Mount St. Helens Institute and US Forest Service staff will attempt to minimize the impact on education and/or rental program while moving visitor services and associated maintenance to the Science & Learning Center. Quiet hours are from 10:00 p.m. and 7:00 a.m. The use of tobacco products and electronic cigarettes is prohibited inside the Science & Learning Center. Smoking of all such materials must take place at least twenty five (25) feet from the building and with due regard for fire danger and nature. All flammable materials must be fully extinguished and cool ash and residual debris must be placed safely in an ashtray located near the Science & Learning Center front entry. Alcohol is not allowed on site during education programs. Alcohol is permitted during rental programs by permit only. Prescription medications, used as directed, are permitted, but all illegal drugs, including marijuana, are not allowed on Federal land at any time or for any reason. The Group Coordinator is responsible for ensuring that at least one vehicle that can transport group members remains on-site at all times in case of emergency. Certain areas in and around the vicinity of the Science & Learning Center, are off-limits to members of groups registered for education and/or rental programs at the Science & Learning Center. Mount St. Helens Institute staff will communicate which areas are off-limits of the group members. Pets are prohibited at the Science & Learning Center. Service animals are permitted, but only in designated areas or as otherwise permitted by controlling law. Weapons (including, but not limited to, handguns, rifle/shotguns, other firearms, knives, or other weapons, butterfly knives, switchblade knives, daggers, martial arts weapons including nun-chu-ka sticks and throwing stars, metal knuckles, air guns, and stun guns or Taser devices) are prohibited at Mount St. Helens Institute education and rental programs. All group members must comply with safety policies communicated by Mount St. Helens Institute staff in writing or verbally. It is the responsibility of the Group Coordinator to ensure that there is sufficient supervision of minors during education and/or rental programs. Groups participating in education programs must have an adult assigned by the Group Coordinator on site at all times, that at least one adult must accompany all group minors during all activities at and/or facilitated by Mount St. Helens Institute, and that the Group Coordinator and each adult chaperone must provide responsible adult supervision at all times while visiting Mount St. Helens Institute. It is the responsibility of the Group Coordinator to ensure that group members understand and follow program rules and policies. Grounds for dismissal include, but are not limited to, unlawful conduct, possession of alcohol, drugs, and/or tobacco products; possession of a weapon; inappropriate conversations/contact; offensive behavior or remarks towards other participants or staff or volunteers, including use of racial, religious or sexual slurs or intimidation; theft or vandalism; or violence/bullying will result in a dismissal from the program with no refund of program fees. If a participant is dismissed, it will be the participant's or their parent/guardian’s responsibility, either logistically and/or financially, for the evacuation. 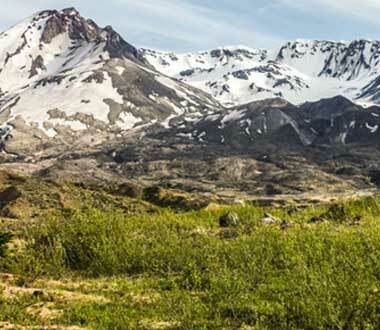 Groups must comply with the policies of Mount St. Helens National Volcanic Monument, including obtaining permits for certain activities for activities such as off-trail travel, collection of natural materials, or commercial activities. It is the responsibility of the Group Coordinator to store, monitor the use of and make proper arrangements for medication administration. The kitchen and dining facilities at the Science and Learning Center are not guaranteed to be free of allergens. MSHI is able to accommodate many dietary needs/preferences and will work with the Group Coordinator to accommodate dietary restrictions where possible. For their own safety, participants with life-threatening food allergies are required to bring their own food. All groups must fully comply with all applicable laws, rules and regulations. It is the responsibility of the Group Coordinator to ensure that group members are aware of all laws, rules, regulations, and Mount St. Helens Institute policies to which they, as individuals and/or as members of the group, are required to comply. This includes, but is not limited to, conformance with federal and state laws which specifically forbid discrimination of persons on the basis of race, color, sec, religion or national origin. 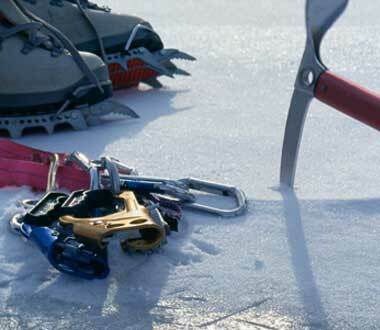 The Mount St. Helens Institute or U.S. Forest Service and their staff and volunteers are not responsible for the storage, care, custody, or control of equipment, materials or furnishings owned by Volcano Outdoor School participants. The Mount St. Helens Institute or U.S. Forest Service and their staff and volunteers are not responsible for cancellations to reservations based on weather, volcanic activity, or other unusual conditions. The Mount St. Helens Institute or U.S. Forest Service shall not be held liable for personal injury, death, property damage or accident. It is the responsibility of the Group Coordinator to ensure that EITHER 1) all participants submit a fully-completed Participant Waiver before or at the start of the education and/or rental program, which includes medical conditions, allergies, a photo release consent, and a liability release waiver OR 2) the Group Coordinator, as the authorized representative of the group, certifies that the group assumes full responsibility for any damage to facilities and for injury to persons resulting from the rental and/or education program.